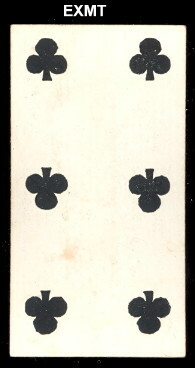 Duke N84 Playing Cards. 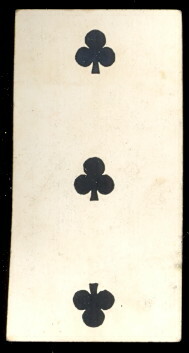 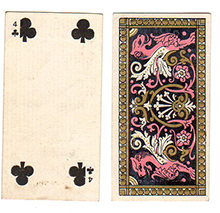 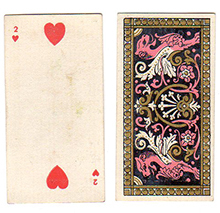 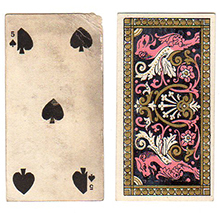 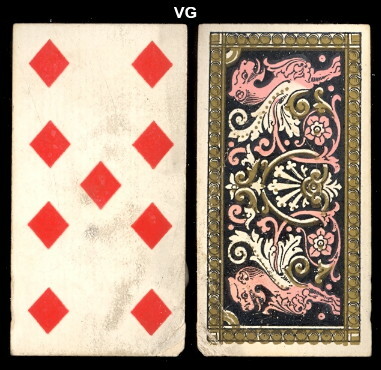 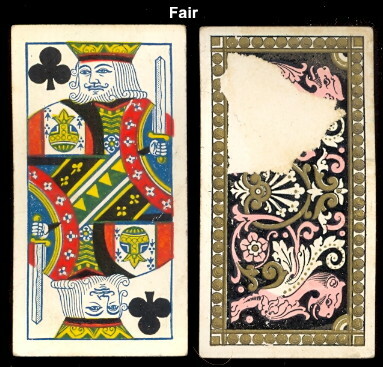 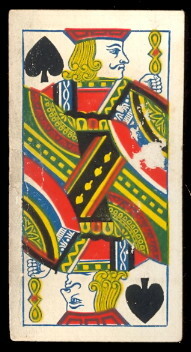 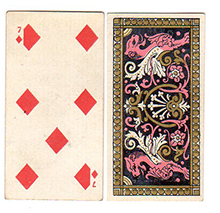 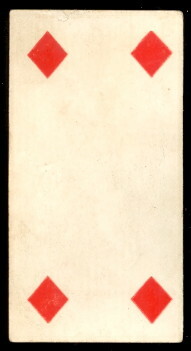 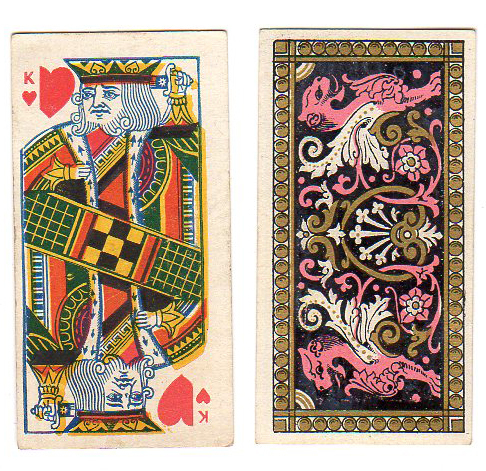 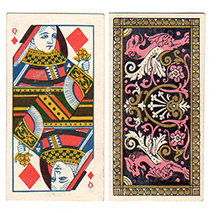 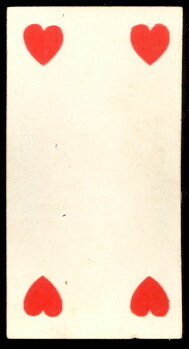 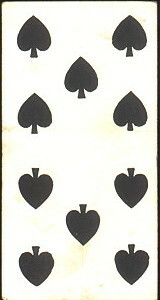 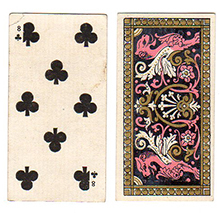 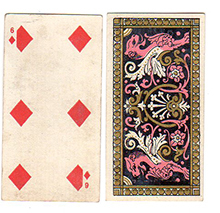 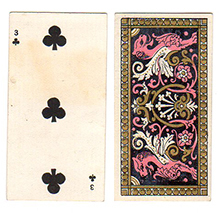 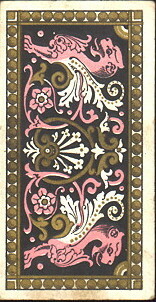 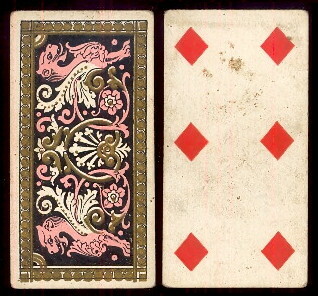 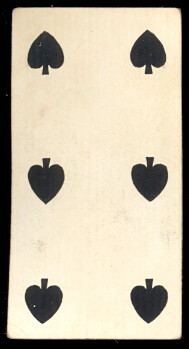 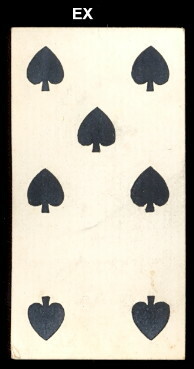 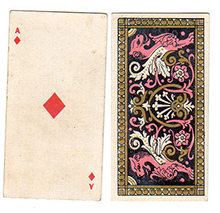 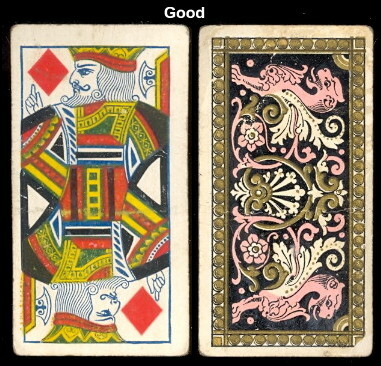 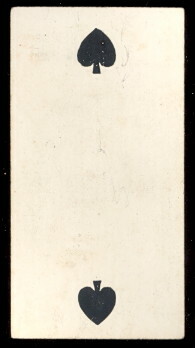 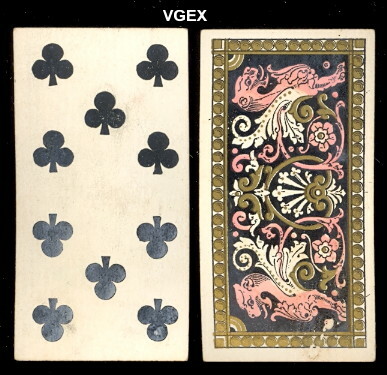 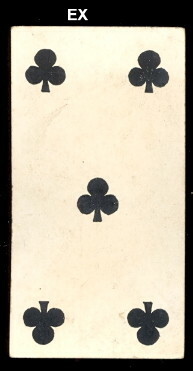 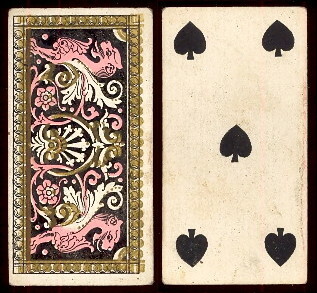 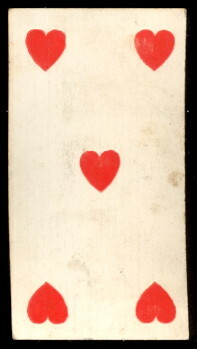 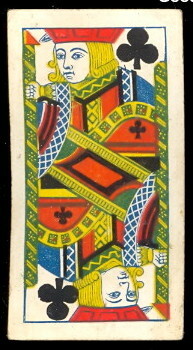 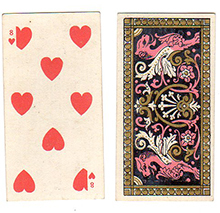 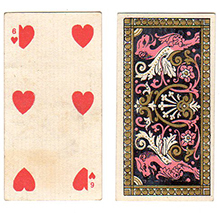 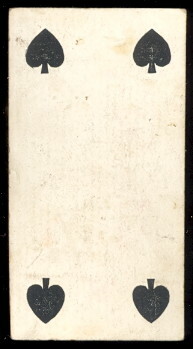 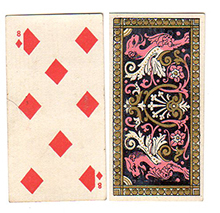 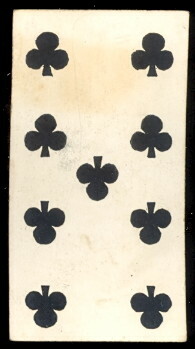 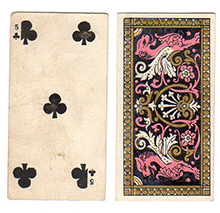 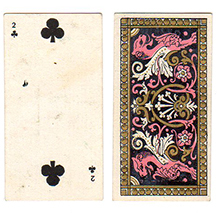 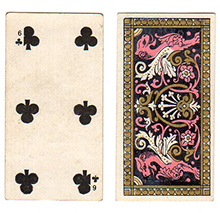 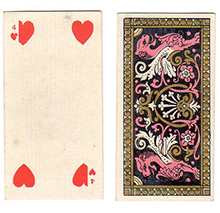 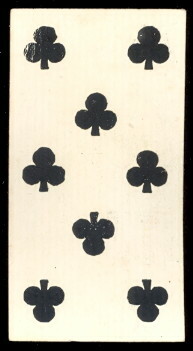 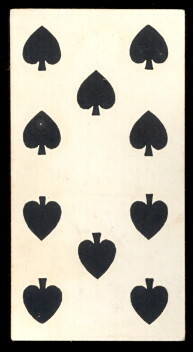 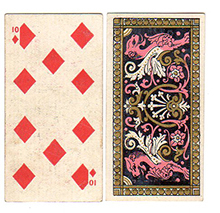 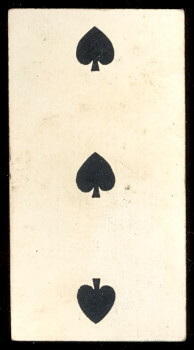 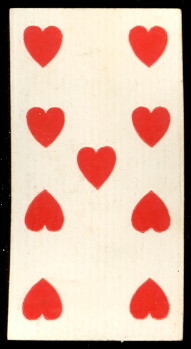 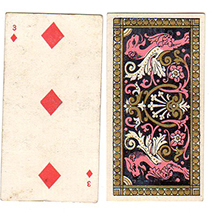 Issued around 1888, The cards measure 1-7/16" X 2-3/4" and there are 53 in the series. 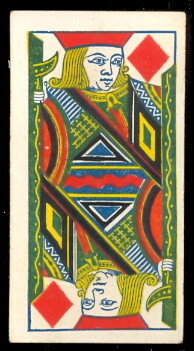 The Joker is printed with the Duke ad. 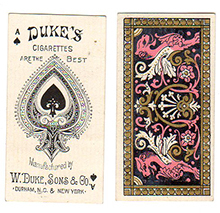 The Ace of spades can be found with either Duke's cigarettes or Turkish Cross-Cut cigarettes ad. 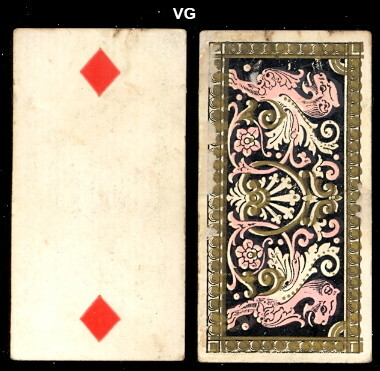 The playing cards can also be found with or without the symbols in the diagonal corners on the front. 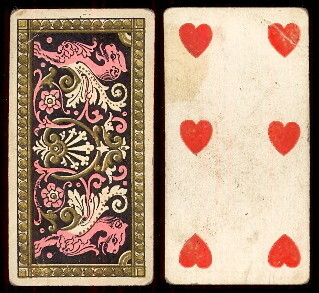 The backs are regular playing cards featuring red and black printing. 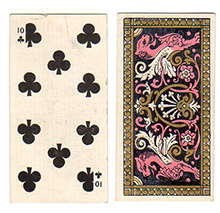 Cards with the symbols in the diagonal corners are noted below with the "s" suffix.